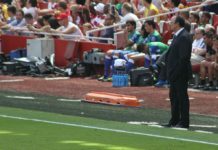 Arsenal suffer a major setback in the transfer market: What will Emery do now? Arsenal have been entangled in talks with Barcelona over the transfer of Denis Suarez. The midfielder has struggled for game time this season under Ernesto Valverde and the Barca manager had claimed earlier this week that some players could leave the club this month. “We are happy with the squad but there are always possibilities for departures for those who maybe do not feature as often,” Valverde said. But some rumours have since suggested that the talks between the two clubs have broken down and the transfer might not go through. And now Spanish football expert Guillem Balague has gone on to claim that the Denis Suarez has chosen to stay at Barcelona until the end of the season. “Denis Suarez has decided to stay at FCB at least till the end of the season after it became clear that AFC would not agree the €20-25m obligatory clause to buy after the loan that Barcelona wanted to include in the deal,” Balague tweeted. Arsenal wanted the midfielder on a six-month loan spell but Barcelona are keen to offload him permanently and hence they wanted to include an obligation to buy on the loan deal. But the Gunners weren’t too inclined on that as they wanted only an option to buy. So now it looks like Unai Emery will not be getting Denis Suarez – atleast this month which means any hopes of letting Aaron Ramsey head to Juventus in January has also taken a severe blow. Read: Man United could be without a key forward when they take on Arsenal in the FA Cup. Read: Unai Emery reveals why he cannot undo his biggest mistake since becoming the Arsenal manager. Read: Here’s how Unai Emery is planning to replace Hector Bellerin. 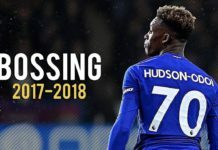 Previous articleChelsea on the verge of making their first signing in January: But will he start vs Spurs?